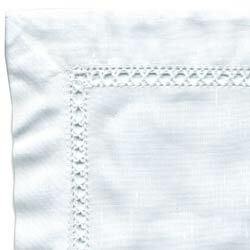 Note from Martha: Embroidering table linens has always been in vogue. Flowers are used so many times to make tables beautiful. It is so much fun to "make a gorgeous tablecloth" by purchasing a tablecloth and embellishing it with our embroidery machines. I thought you would like to read about a philosophic view of making luncheon sets from a vintage magazine. 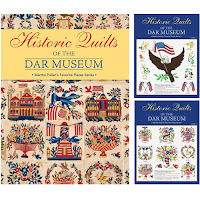 As I look at our gorgeous Historic Quilts of the DAR Museum, I can see so many of those designs being beautiful embroidered on placemats, bridge cloths or napkins. I might add that I ADORE beautiful card table sized cloths since I use them almost every time I entertain for more than 10 people at dinner. At our licensings we usually seat about 40 for dinner and I love using my collection of bridge cloths for the extra tables. At all of our larger family dinners-Thanksgiving, Christmas, Easter and Mother's Day I always use a variety of table cloths for these small tables. 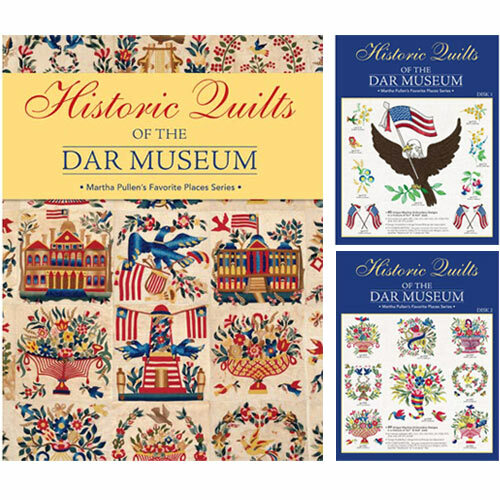 We have some beautiful ready to embroider place mats, card tablecloths and napkins just waiting for your embroidery machine to begin to whir away. Lunchcloth - Some people think June the prettiest month of the year; and when it is with us we almost feel that way about it ourselves, for what can be nicer in our climate than the days which are growing longer, and gradually growing warmer; when the trees are putting forth their green leaves; the fruit-trees coming into blossom; all the grasses, ferns and in fact, every thing, putting on the cool, restful shades of spring? The air is a tonic to those of us who have been obliged to be under cover most of the time during the winter; but now we can get back to Nature and enjoy everything. But when fall comes, then nature shows us all the colors of the rainbow and then some more. All the seeds we planted, and bulbs we set out, all the perennial plants in our gardens, and all the wild flowers scattered in the fields and along the roads and byways, are putting forth in blossoms their variegated colors. And what a mass of bloom! And so with this thought in mind, we are trying to bring to you some of these blossoms to remind you of the summer just passed and which we hope you enjoyed so much." 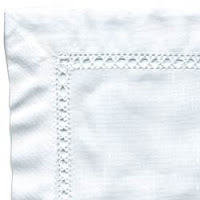 Note from Martha: There were several lunchcloths shown with embroidery in all four corners and the matching napkins with embroidery done in one corner. Aren't we glad we have embroidery machines to make quick projects such as these square lunchcloths? By the way, I use this size cloth many times per year since I serve overflow dinner guests on card tables with four chairs around each. Remembering the good old times when my mother and I embroidered luncheon sets. I Really like such a Historic Snippet good one, i visit first time such informative blog i appreciate your work. this incredible work and I anticipate a greater amount of your magnificent blog entries. Great article on embroidering luncheon sets!